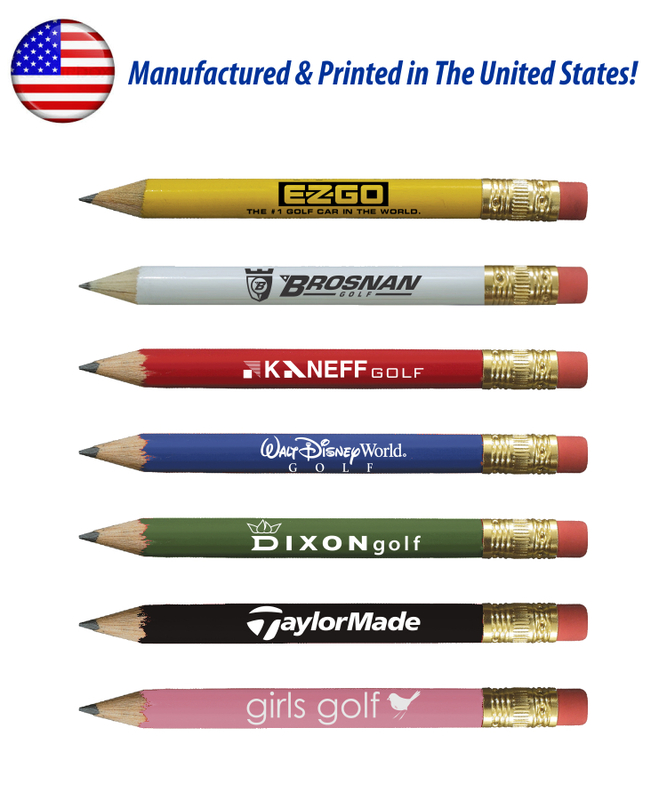 Union printed, USA Made Golf Pencils, Top quality #2 graphite lead pencil sharpens to a fine exact point, quality eraser provides easy and clean corrections. Comes Sharpened. Decorated in our Union Shop - Union Bug Available at No Charge! • Imprint Area: 1.5" x .625"